POLICE in Spain have stopped a drink driver who was later found to be six-times over the legal limit for driving. The Murcia Local Police motorcycle officers arrested the man for endangering road traffic safety. Spain has strict drink driving laws. 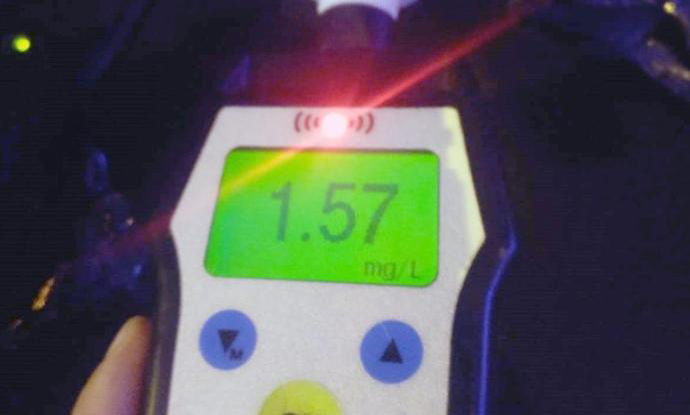 According to the N332 website the legal alcohol limit is in general 0.25 mg/l. The incident comes as this week it has been announced that Spain experienced its worst ever July and August road accident figures since 2012. 259 fatalities have been recorded in Spain this summer alone, with 799 people losing their lives in 2018 according to DGT. Local Police in Murcia were keen to make an example of the man via their official Twitter account. The humorous message was intended to also deliver a serious reminder against alcohol abuse during the Fair of Murcia which coincided with the man’s offence. Dotación del Grupo de Motoristas ha procedido, en la tarde hoy, a la detención de un conductor por un delito contra la Seguridad Vial tras sextuplicar la tasa de alcohol permitida.